Schools back in session. The mercury is dropping, and the leaves are slowly starting to turn colors. Fall is officially on the way. 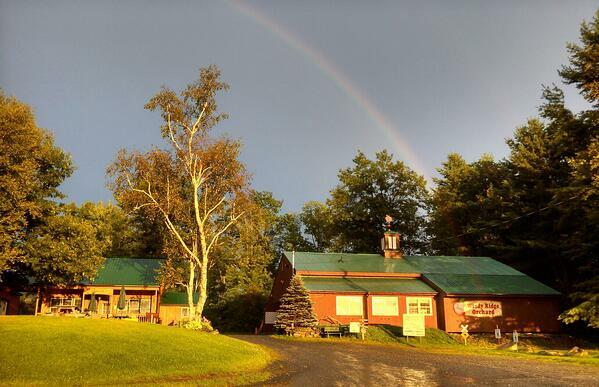 What better way to celebrate the change in the season then head to the White Mountains for a weekend or weeklong getaway. Home to delicious restaurants, miles and miles of hiking trails, and incredible mountaintop views, the White Mountains of New Hampshire is the place you want to be. Lace up your hiking boots and grab the flannel, it’s time to book your getaway today. Catch a ride on the Hobo Railroad. Leaving from Hobo Junction Train Station in Lincoln, the Hobo Railroad travels 14 miles along the Pemigewasset River and farmland. The 80-minute train ride passes over the river multiple times become returning back to the station. During the fall months, the special Hobo Harvest Time Express departs daily in September and October. You’ll have the opportunity to sample delicious seasonal items from New England. Nothing beats a good old fashion road trip. 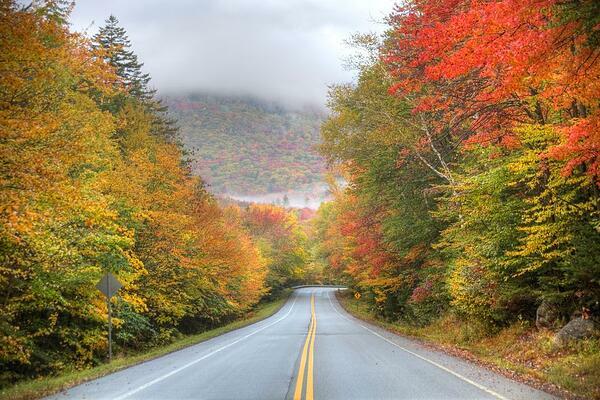 The Kancamagus Highway, also known as New Hampshire Route 112, is a 32 miles two-lane, paved highway through the White Mountain National Forest from Lincoln to Conway that offers unparalleled views of the White Mountains. The highway is a popular tourist destination, especially during the fall foliage months as there are lots of scenic views and hiking trails along the road. Make it a whole day trip and grab lunch in the bustling town of North Conway where you can shop until you drop at the outlet shops before making your way back to Lincoln via Route 302. Take a side trip up Route 16 and drive the infamous Mt. Washington Auto Road. Opened through the end of October depending on the weather, the Mt. Washington Auto Road passes through four distinct climb zones as you drive to up to the top of the highest peak in New England. 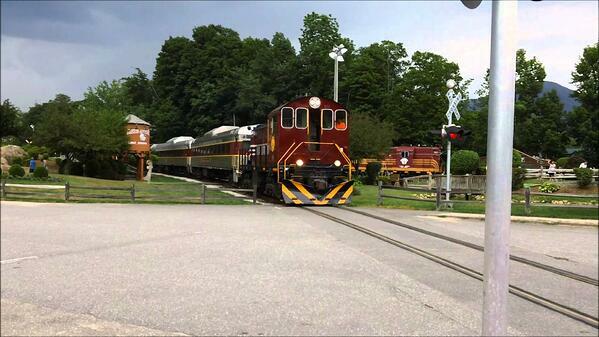 If you don’t want to drive, take the Mount Washington Cog Railway, one of New Hampshire’s most iconic attractions. 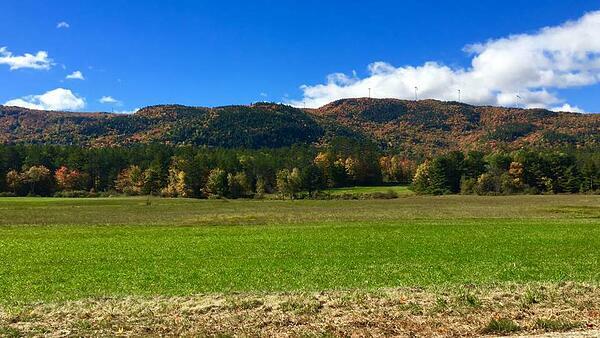 Fall is the perfect time to enjoy the beautiful White Mountains. The air is cool, the leaves are on fire with various hues of yellows and reds, and the views from the mountaintops are breathtaking. With an abundance of hiking trails in and around the Lincoln area, there are lots of choices. If you’re looking for a flat, easy walk to view the leaves, you can’t go wrong with the local favorite – Lincoln Woods Trail. For a challenging day hike, the Mount Lafayette and Franconia Ridge Trail Loop is the king of the White Mountains. The 8.5-mile loop trail will take you over Mount Little Haystack, Lincoln, and Lafayette. On a clear day, you can see across northern New England and Quebec. For a more moderate hike, the Basin Cascade Trail in Franconia Notch State Park is a quiet and beginner-friendly hike. On one of those rare hot fall days, the waterfall is a great way to cool off. Of course, there is the jewel of the White Mountains – Mount Washington. If you’re after some bragging rights, you’ll certainly earn them by hiking to the top of Mount Washington on foot. While there are several ways to the top, Tuckerman Ravine Trail is one of the most popular. Located near Gorham, the 7.9-mile loop trail is challenging and steep in areas. Weather at the top can be extreme so be prepared for wind, rain, and snow. Nothing screams fall like apple picking and leaf peeping. Head to Windy Ridge Orchard in North Haverhill. Only 20 miles from Lincoln, follow Route 112 West over Kinsman Notch and by picturesque Beaver Pond to Route 116 South. 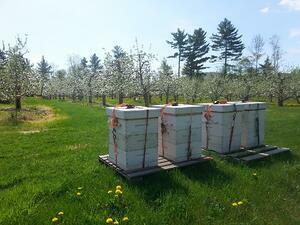 The first apples at Windy Ridge were planted back in 1968 by the Fabrizio family. Over 50 years later, the orchard grows 18 different varieties of apples that ripen between late August and early October. Of course, no visit to the orchard is complete without visiting the local farm animals. Donkeys, goats, pigs, and more all call Windy Ridge home. Grab lunch or breakfast at the Cider House Café, which is open daily and serves dishes made with homegrown fruits and vegetables. Don't forget hot apple cider donuts! With an abundance of activities that will get your outside into the fresh mountain air to enjoy the colorful leaves and scenic views, a trip to the White Mountains is just what you need to celebrate the new season. Need a second home for the week? Reserve a suite with RiverWalk Resort to make the most of your stay in the White Mountains.